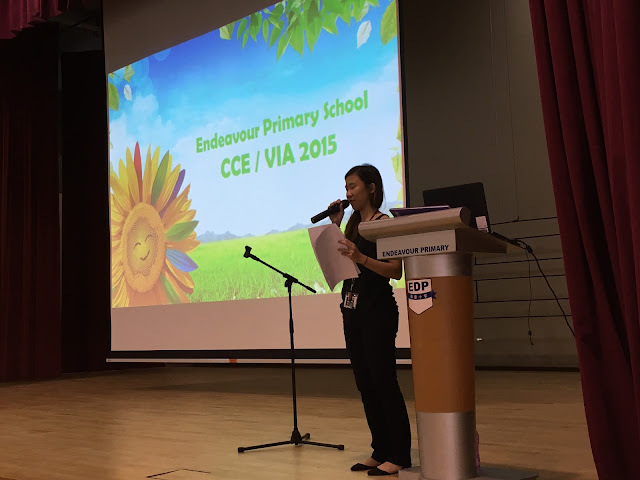 During this morning's assembly programme, Miss Cheah has taken us down the memory lane to review the various CCE / VIA activities conducted throughout this year. Please do pen down some of the thoughts that you might have. You could write about the positives experiences that you had while participating in one of these eveents. Or, your could point out the areas that you felt could have been done better. Better yet, you may even want to suggest future activitives and events that you feel that would have a big impact on the lives of fellow students in the area of CCE / VIA education. Wait no more! Give your comments generously and encourage your calssmates and friends to do so too. Let us hear what you have to say and let the whole school hear your voice. Do it now! I think it is great that we are doing activities like these!Great job on setting it! I should really thank all the cleaners for the wonderful work they have done. They have helped to ensure that our school has a more conducive environment. However, I think there should be at least a day where all the pupils have to stay back in school to take on the role as a cleaner. It shouldn't be mandatory. I like it when you guys make interesting programes for us! i would like to thank all the cleaners to spend time to keep our school clean. i think it is good that we also should do our part too. Thank you cleaners for helping us keep the school clean. Thank you all cleaners in the school for keeping the school clean. Most of all , I would like to thank all teachers to prepare this event . I really thank all the cleaners for their great work! I think this is a great way of thanking all the cleaners for all the hard work they have done for our school when we have yet to do so. Thank you all cleaners for keeping our school clean. i think all the cleaners did a great job at keeping our school clean!! Thank u to our cleaners who had help us keep our school clean. Thank you for cleaning our school and now our school is green and clean! I think our school cleaners is very kind and helpful.They help us keep our school clean. We should learn from these cleaners because it keeps our environment clean and green. We also clean the canteen after people have finish eating. I like the interesting programes they arrange for us. Thank you cleaners! I think it is great that the school let us do these activities as it will teach us to keep our environment clean and green. It will also educate us to be clean and tidy and help out in cleaning our surrounding environments to let us live in a clean environment. 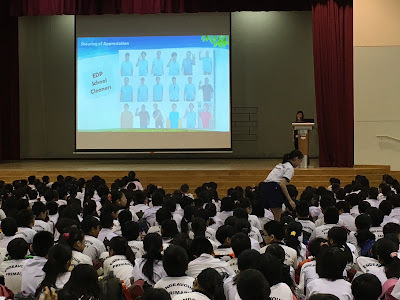 I think it is good that the school talk about keeping the environment and i think the cleaners in school are very hardworking of cleaning the school to let us study in a cleaner environment . i think we should thank the cleaners for keeping the school clean . I think that the school is being fair to us.we can study in a clean and better environment. Better place for us to eat and drink in the canteen,and cleaner toilet for us to use.Thank you cleaner. I think the talk was a great thing to teach us about keeping our school clean. Clean environment will prevent us from being sick and we will have a great place to study. I enjoyed the talk.